I finally took a few pictures of my studio. This is my drawing table set-up. 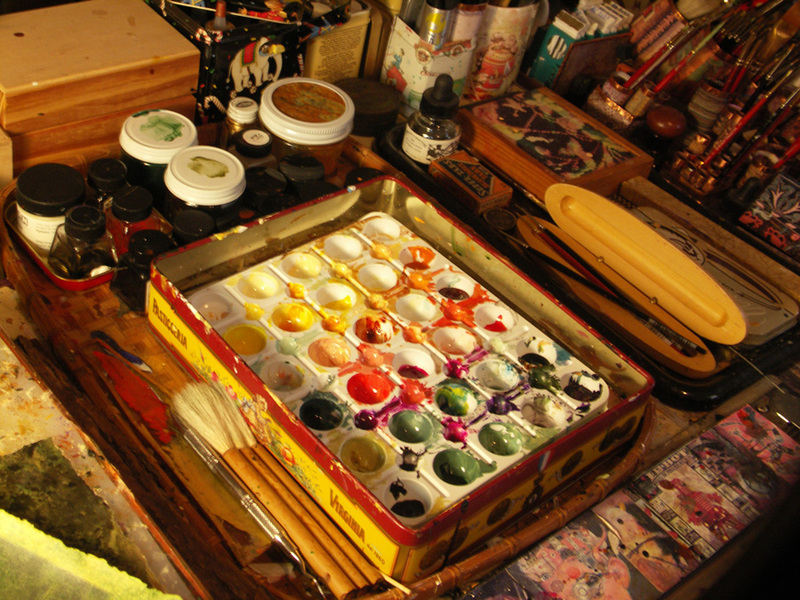 Yes, pretty much everything in my studio is this jam-packed. Always love to peek at srtist's studios, tools and processes. Thanks for sharing. I feel at home too. And, Henry Darger's room looks a lot cleaner that I would have thought. Although, he was a custodian, so I suppose it makes sense that he was tidy. Your art is wonderful. I follow your blog, see you soon.